FASSBENDER: I saw a few edits that Derek had done and I made suggestions. [I gave him] my notes, for whatever good they will do, and he did make some changes. When I did give him those notes, I was very grateful for that. Derek was always like, come to the edit [room] whenever you want, he’s very collaborative like that and he takes everyone’s notes to heart and really digests them. He is a very strong, independent filmmaker, but sort of in his own mind. But also, because he sort of felt comfortable in confident in himself I guess, in lacking ego, he’s also very open to people’s notes and ideas. So I wasn’t in the edit [room] per se with him, but like I said, he would do cut, I would watch it, and I would give him notes on that. As I’m sure you’ve heard from everyone you speak to, I’m very impressed with your acting. I’m curious, how you’ve changed over the course of the last few years working on more and more films in the way you get ready for a role. Or do you have a similar routine for everything you do? 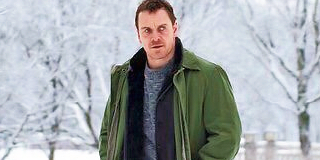 FASSBENDER: Yeah, it’s pretty much been the same all the time. I spend a lot of time with the script, and that’s really kind of the core of the separation I just really reread and reread and just spend time with the script and doing so, spending time with the characters and the story and it just sort of seeps into the bone marrow after a while for me. But it really boils down to that. Some actors I’ve spoken with enjoy the Clint Eastwood method of shooting the rehearsal, maybe one or two takes, and others really love the David Fincher method of a lot of takes. What do you like to do, typically? 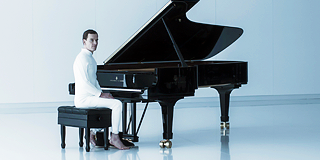 FASSBENDER: I definitely think the first works best. ‘Cause I do so much homework I’m good to go on the first take; I don’t want to rehearse. I like the element of what’s unpredictable of that first take and nobody knows what’s going to happen, and I’m a big fan of that. I got to see about 15 minutes of Assassin’s Creed, and it really looked cool to me. It looked like this could be the video game movie that really breaks out, in terms of doing it right. Have you seen the finished film? What was your takeaway? FASSBENDER: Well, this is a film that I will be in the edit on, ‘cause I’m producer on it. So, you know, we’re still working on it, we’re still editing away. I’m very excited by the whole universe of Assassin’s Creed. I wasn’t aware of it until I met the guys from Ubisoft. When they started to tell me the premise behind it and the details of these two different warring factions, I just thought it could be told perfectly through a cinematic medium. So that was five years ago now, been involved in it from the ground up, so I’m really passionate about it. But you know, I feel like we’ve got definitely something very original and thought-provoking in this kind of genre, and we’re very lucky to get Justin Kurzel on board and Marion Cotillard, from the experience that we had on Macbeth, and to get Adam Arkapaw who’s an absolute artist as the DP. So we’re very excited about it. The footage I saw looked fantastic. I would imagine that right now you are getting scripts, you’re looking at what you want to do next. What are you thinking about for the rest of the year and early next year? FASSBENDER: Doing nothing. No, I won’t be doing nothing/ I won’t be doing any acting. Let’s put it that way. I’ll be just working on the script and development of my production company. We’ve got quite a few things that are sort of in the works. So just spending more time with writers, developing stuff for this next 6-8 months, you know, investing a lot of time in that in making sure that those projects are in good place and I’m looking forward to that actually. My last thing for you – ‘cause I know I’m almost out of time: I am a fan of Prometheus and I love Ridley Scott when he’s doing sci-fi – so I’m excited about the next Alien movie. What can you tease people about it, and what was it like working with Ridley again on the project? FASSBENDER: I just love Ridley. You know, he’s become a really good friend, and he’s just a natural, he’s one of a kind. Anybody that works with him in any department is just totally blown away by him. He’s such a visionary and I think he has such a great, understanding of storytelling. You know, coming from an art background, how referring to something being put in the frame, working with the art department, working with costume design, working with the actors, he’s very vigilant and fun, you know? We have a lot of fun; we laugh a lot, and he’s also got very intelligent but also off-center notes. He would never tell you directly to do something, but just give you little flavors. In the first Prometheus film, he just sort of walked over, and [said,] “I imagine David’s like a butler” and he runs his finger over the desktop checking for dust. And that was enough for me to go off and explore elements of the character with that in mind. We work really well together. I have to say, this Alien is going to be – I’m really excited to see it and everybody in the film was saying that there’s a film that we all wanna see. It’s much scarier than Prometheus, but it’s got that sort of same scope as Prometheus, that imminent sort of disaster feel, that Alien had. So it’s kind of a beautiful meeting of both of those films. I’m really excited to see it, I think it’s gonna be super scary, number one. And again, with the massive scope of Prometheus. Dude, that’s the greatest description I could’ve gotten for you saying that it’s gonna be scary. I love hearing that. FASSBENDER: Yeah, you know once it starts and the ball starts rolling, it’s definitely going to bring chills to the cinema. I love that. I gotta go, but I heard rumblings that you might be directing at some point. When you’re developing stuff right now with your production company, is that one of the things you’re trying to develop is something you might direct? FASSBENDER: It’s definitely something that I’m interested in doing and would like to do it at some point. I have no idea when or what yet, because I’m focusing on the development side of things, but yeah, I would like to try it and hopefully not fall flat on my face. I’m definitely trying to soak up from the best that I’ve been lucky enough to work with, so yeah, I’d like to try it one day.